Conference by Matteo Politi, pharmaceutical chemist, naturopath and scientific director of the Takiwasi Center, to be held at the Museum of Natural History - University of Pisa, Italy, March 12 at 4:30pm. Presented by the association Amici di Georgofili - Pisa. The Amazon is the last of the great green basins of the planet, an intricate tangle where the vegetable kingdom that nourishes, protects and buries the animal kingdom. The images of the Amazon in one way or another are available to everyone, but the smells, the noises and more generally the feelings that one lives when immersed in the forest remain are hard to be described by words. The Amazon preserves a way of being in the world extremely distant from the modern one. Life and death dance together continuously without too many scandals and in such a context only a harsh and ruthless therapeutic system could be developed, that at the same time is extremely effective. Working in the Upper Peruvian Amazon as a research director at the Takiwasi Center, a pioneering therapeutic community for the treatment of drug addiction and other mental health disorders, gave me the chance to learn about various practices of local herbal medicine including the use of aromatherapy, emetic/purgative and psychoactive plants. The ritual context and the mode of intake, often associated with various types of restrictions, strongly characterize these herbal practices that are inspired by indigenous knowledge. 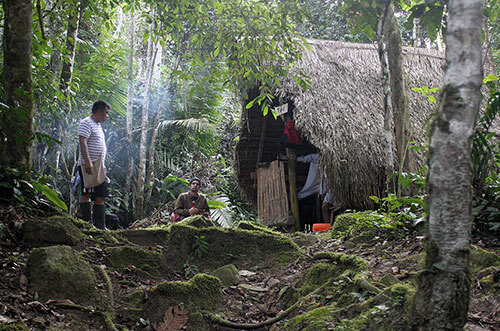 If biomedical research continues to be inspired by traditional Amazonian knowledge, it seems that such insights can have an impact even at wider levels, on topics such as planetary health and environmental ecology. Matteo Politi, Pharmaceutical Chemist and Naturopath with international experience in the field of medicinal plants and natural cures, he has worked in various European countries, in Peru and in China. Passionate about traditional medicines, he carries out research and development of herbal products and services related to holistic wellbeing. He currently works as research director of the Takiwasi Center in Peru and researcher in pharmaceutical botany at the University of Chieti-Pescara. Date and time: Tuesday, March 12, 2018 - 4.30pm. Place: Museum of Natural History - University of Pisa, Via Roma 79, Calci (PI), Italy. Organization: Association Amici di Georgofili – Pisa.